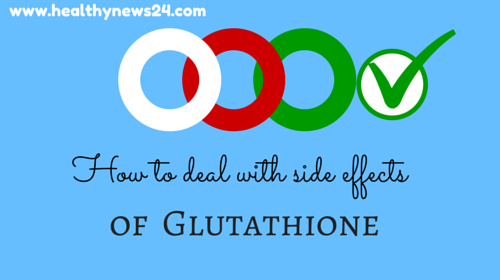 » What Is Glutathione and How Is It Good For Your Health? Glutathione is an antioxidant commonly found in animals, plants, fungi, and bacteria that help neutralize free radicals and prevent cellular damage that is one of the most prominent causes of aging, cancer, liver diseases, stroke, seizure and a number of other diseases (1, 2). It also provides the chemicals needed for the body to properly utilize other important antioxidants e.g. vitamin E, vitamin C, and alpha-lipoic acid. Our bodies naturally produce glutathione (produced by the liver) (3). But unfortunately, production is often disrupted due to factors such as poor diet, stress, medications, infections, pollution, and toxins. The level of this natural protein is related to our overall health condition and long life. And the low level of it is responsible for chronic diseases. It has three amino acids L-glycine, Glutamic, and L-cysteine and acts as detoxifier and antioxidant. For proper functioning of our body, oxygen, water, glucose as well glutathione molecules are required in limited proportions. And all these molecules together are the backbone of energy production in our body. 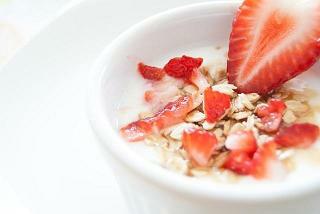 How is Glutathione Nutritious and Good For Your Health? Glutathione is made up of three different amino acids – cysteine, glutamine, and glycine. These amino acids work together to rid your body of harmful toxins, while also allowing your body to take full advantage of other crucial antioxidants (4), such as vitamins C and E and Carotenoids. What Are The Most Popular Glutathione Supplements? The major contributor to why many people do not experience the benefits of glutathione is a lack of production of the antioxidant. Unfortunately, glutathione production levels are heavily influenced by outside factors. Following a poor diet, having high-stress levels, taking prescribed medications, and being exposed to environmental toxins all negatively affect your body’s ability to properly produce glutathione. As a result, supplemental forms of glutathione have been developed to help offset the lack of production. These supplements are available in pill or powder form and can be found in local pharmaceutical and supplement stores or online retailers. While there is currently no extensive, long-term research available on the potential side effects of prolonged glutathione supplementation, it appears that glutathione use produces very few side effects. Long-term use of glutathione supplements has been linked to a decrease in your body’s zinc level. Zinc deficiencies can affect the body in a multitude of different ways. However, studies on the interactions between glutathione supplementation and zinc are still in their infancy. This side effect is most often related to the improper use of powdered glutathione supplements. One possible solution for preventing lower zinc levels is to avoid taking glutathione supplements for prolonged periods of time. There is currently no set timeframe, but one to three months is a common duration range for limited use of other supplements. Make sure you follow the directions when taking the glutathione supplement. Take it exactly as prescribed. Also, make sure it is properly stored in a location that is inaccessible to children – especially those with asthma. * Important: As of this writing, the glutathione supplementation has not been proven to be safe for women who are either pregnant or breastfeeding. As such, you should refrain from taking the supplement if you fall under either category.